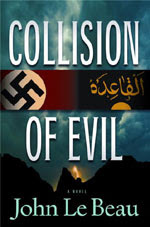 Although entirely a work of fiction, ‘Collision of Evil’ nonetheless deals with the very real, and very deadly threat of contemporary international terrorism. As a former CIA Clandestine Service case officer and a current professor of terrorism studies at the George C. Marshall European Center for International Security Studies, I really wanted to try to portray the terrorist characters in the novel in a realistic, convincing manner. This is not to say that the book is mainly a detailed character study of jihadist terrorists; it is an entertainment and the ‘bad guys’ are just one part of what is meant to be a fast-paced, exciting plot set in the international arena. Still, I wanted to create terrorist characters whose motivations and outlook actually mirror the prism through which real terrorists view the world. I decided to tell part of the story from the vantage point of a terrorist cell leader located in Europe. To try to make this man of fanatic beliefs plausible, I turned to what we factually know about Al Qaeda terrorists today – what their goals are and how they perceive the world around them. My intent is to try to communicate – within the limits of a fictional thriller and without interfering unduly with the plot and action – terrorist motivation and the utterly implacable, thoroughly uncompromising nature of these people. In my personal view, the outlook I ascribe to the terrorists (especially the cell leader) is entirely plausible. These are not people who get up in the morning, look in the mirror, and say “Boy, I am really a nasty piece of work and I don’t care”. Jihadi terrorists, I am convinced, perversely view their deeds as justified and judge themselves to be moral beings. This is, of course, difficult for any normal person to understand but it is nonetheless the cold reality that makes these people so ruthless and so menacing. The terrorist mindset judges it to be entirely okay to kill ‘infidels’ on a mass scale. This was certainly the view of Mohammed Atta, the 9/11 cell leader, Saddique Khan the London bomber, and of any number of lethal Al Qaeda terrorists since that time. These are not people you or I can reason with, and I wanted to try to capture how utterly foreign their worldview is from that of the average person. Basically, I tried to convey the terrorist attitude in ‘Collision of Evil’ through the device of having some chapters told from the terrorist narrative perspective. I thought that having the terrorists speak in their own words would be a chilling way to bring home to the reader how foreign these people really are to any refined civilization. One chapter of the book is a dream sequence, or perhaps a vision sequence, which I employed to illustrate the topsy-turvy moral world of the terrorist – where doing what is wrong is perceived as being right, and what is right is regarded as wrong. Again, I wanted to convey this sense of the appalling dimension of terrorism in a terse way, and without belaboring the point or holding up the dynamics of the storyline. 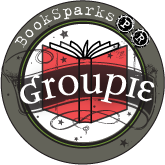 Ultimately, the book needs to be seen as a fictional vehicle of entertainment but, I hope, while providing some modest sense of one of the major threats facing the world today, a threat that recognizes no geographical borders. Dr. Le Beau is a former Senior Operations Officer who retired from the U.S. Central Intelligence Agency (CIA) in 2005. Most of his intelligence operations career was spent on assignment outside of the United States, including in locations experiencing active terrorism. His intelligence duties included assignments as chief of an operational facility in Europe engaged in counter-terrorist and counter-proliferation operations and intelligence collection, Program Manager of a human and technical collection program involving the Middle East, Operational Chief for an intelligence collection program directed at transnational issues and a counter-insurgency officer in an active conflict area. Another example of writing what you know about. Thanks for sharing your experiences and knowledge about terrorism. While we hear about it a lot lately in the news, it is actually nice just to read it in a fictional account. What a timely novel. It's sure to do well. The author sounds fascinating!